Asmara (HAN) August 19th, 2017 – Public Diplomacy & Regional Heritage for Identity. 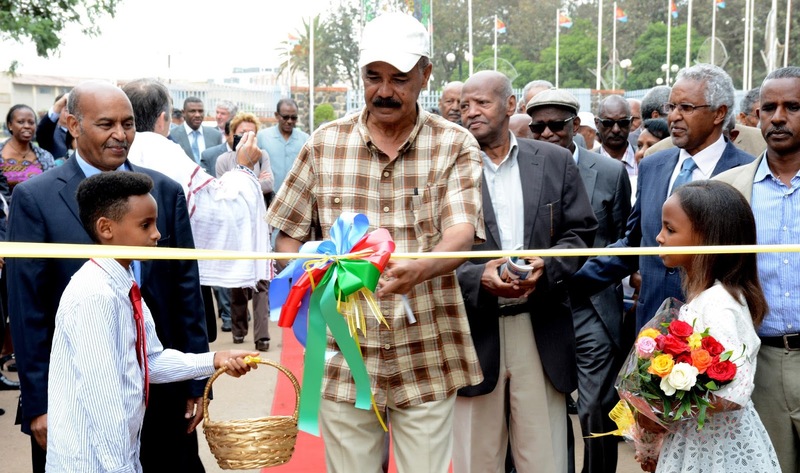 Eritrea Festival 2017 was officially opened by President Isaias Afwerki yesterday, 18 August under the theme, “Our Heritage: Manifestation of Our Identity”. In the opening ceremony in which senior Government and PFDJ officials as well as members of the diplomatic corps participated, President Isaias observed an exhibition depicting Art-deco buildings of Asmara city that have been recently inscribed in the UNESCO World Heritage list. Mr. Mr. Tesfai Berhe, Head of the office of the National Holidays Coordinating Committee, explained that this year festival gives priority to the significance of cultural heritage, particularly the preservation of relics of historic importance. Mr. Tesfai also said that the festival will stay open until 20 August and will feature programs including pictorial exhibition that portray the beauty and architecture of Asmara city, artistic and cultural performances, bazaar, performances by youth cultural troupe, educational and entertainment programs as well as children’s pavilion.